“Your Facebook insights are great! But can you do Twitter, too?” That’s what we heard a lot from our customers since we started a little while ago. We always hated to say “maybe soon”. 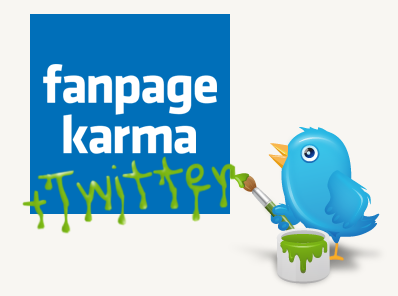 Now we are proud to announce: With Fanpage Karma you can analyze and monitor Facebook and Twitter! As with Facebook, you can now spy on your competitors or get helpful insights for your own Twitter Profile. Unlimited and for any Twitter Profile out there. 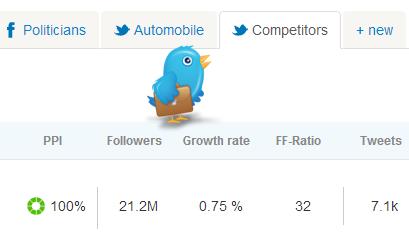 For each Twitter Profile we also calculate the famous Karma-Value – a representation of the follower engagement with the profile – and the PPI (Profile Performance Index). 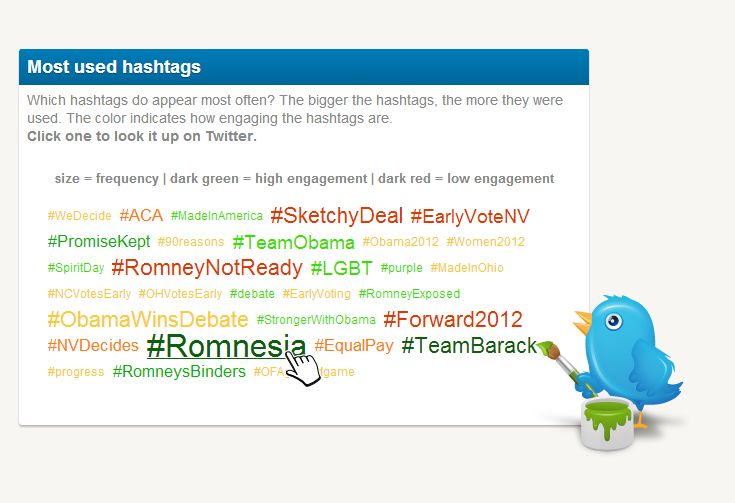 The Karma-Value is measured by rate of tweets and retweets and conversations with other Twitter users. The Karma-Value is always independent of the amount of followers. That way you can compare profiles of different sizes and get an independent assessment of the quality of interaction. For the PPI, we also take into account the size and the growth of the amount of followers. The PPI is a great KPI to measure the overall success of Social Media Marketing. Twitter Profiles can be organized in dashboards, just like you do with your Facebook pages. Twitter Dashboards can hold as many profiles as you like and you can share them with colleagues or clients. Inside the dashboard, you get all important KPIs at one glance, e.g. number of followers, retweets and tweets per day, conversation rate, growth and many more. Have a look at a dashboard filled with the two most busy politicians at the moment: You can find an example of a complete Twitter analysis here: http://www.fanpagekarma.com/twitter/soundcloud With Facebook and Twitter Statistics and Analytics, Fanpage Karma is a powerful tool for Social Media performance tracking and competitor analysis. All that for very little money. Try it now!